Are you ready for an awesome hockey experience? Join us for the 4th Annual New England Youth Pond Hockey Jamboree at the Lake Morey Resort in Fairlee, VT on February 9-10, 2019. This unique event is described as “family fun with hockey back at its roots”. This event, which is sanctioned by USA Hockey, will employ a round-robin format where the focus is fun more than competing to win. Pond hockey is a unique version of our great sport (click here to see the rules), and gives young players an appreciation for the origins of our game. 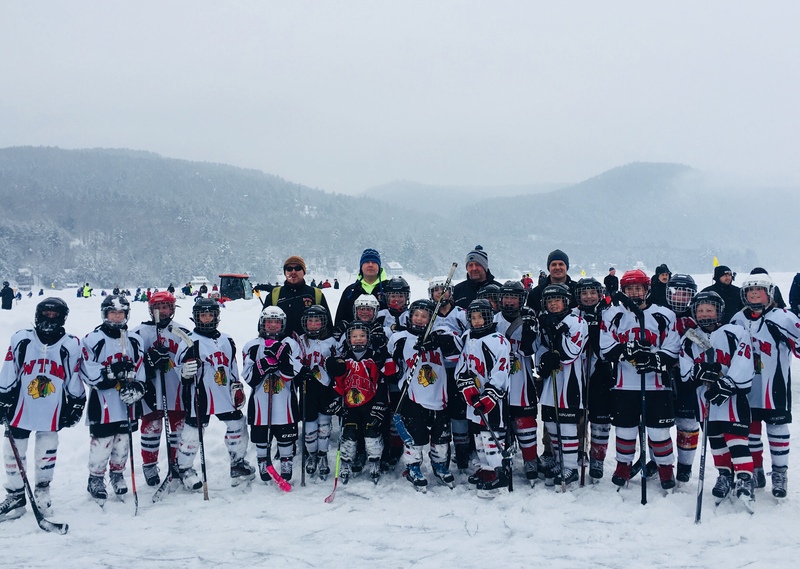 Adult pond hockey tournaments are exploding in popularity across North America, but very few events like this exist for youth players anywhere. Space is extremely limited, so register early (REGISTER HERE)! As if playing pond hockey isn’t great enough, the Lake Morey Resort will feature events for the whole family all weekend including ice fishing, sleigh rides, a 4-mile maintained skating loop, big-screen movies, etc. etc. Of course, we need cooperation from Mother Nature for an event like this. We have a 100% refund guarantee for both the registration fee and hotel room fees if we don’t get that cooperation. So why not do something different with your team this year. Get away from the heavy competition and boredom for the rest of the family, and join us at Lake Morey Resort!